The Cupcake Café, The Kitchen and The Shop are all part of one business. 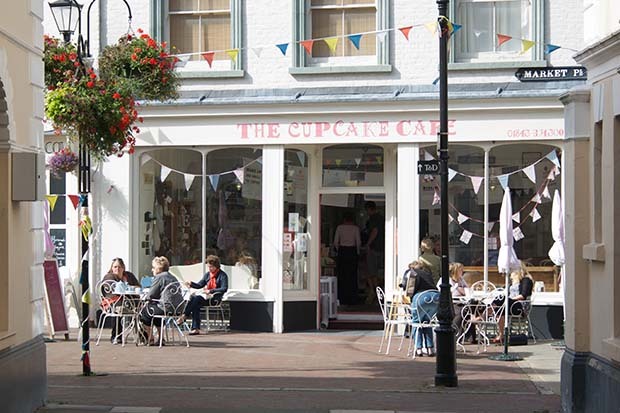 Set up in 2009 by Lisa, The Cupcake Café came first and has grown into one of the most popular cafe’s in Margate’s Old Town. It has now expanded to include The Kitchen, where baking lessons and demonstrations are hosted, and The Shop, a retail space selling a range of home, kitchen and baking products available to all. Both The Kitchen and The Shop are located in the same building, next door to The Cupcake Café. To place a bid enter comments below. Thank you! Have eaten here before , very nice! Congratulations Rebecca! You’re the winning bidder with £35! We’ll be in touch with details.